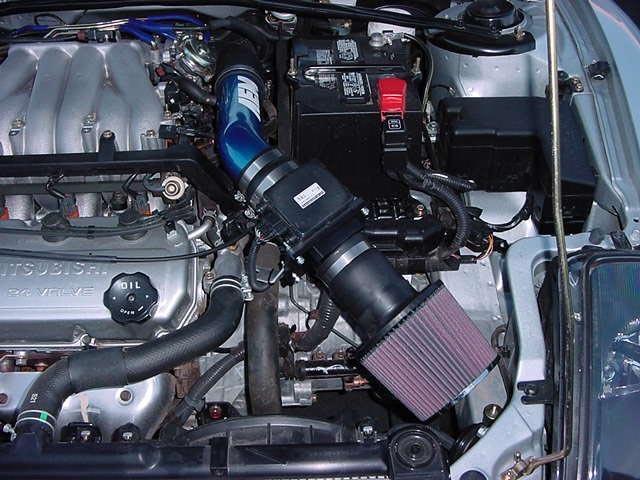 This is the AEM CAS (Cold Air System) installed on a 2000 Eclipse GT. 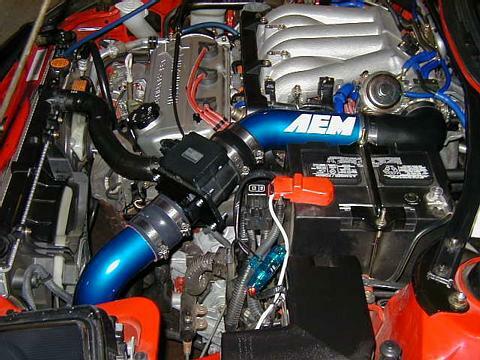 AEM uses a rubber throttle body elbow. 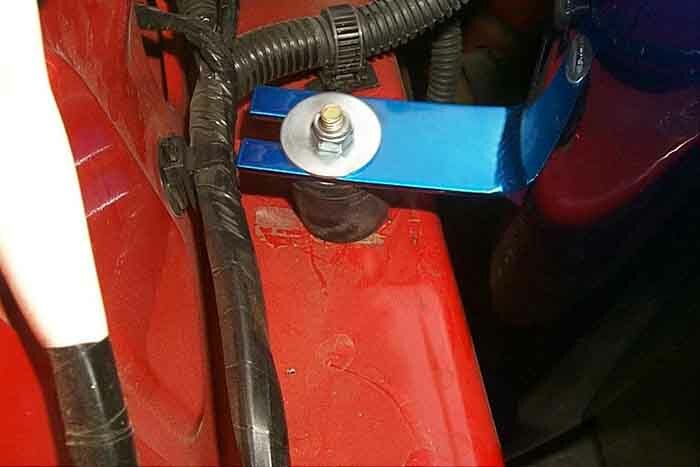 This allows better clearance to the battery and the battery hold down bolt. 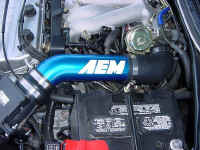 The AEM kit shown with just the rubber elbow and the upper pipe. Next the air flow meter adapter is installed. 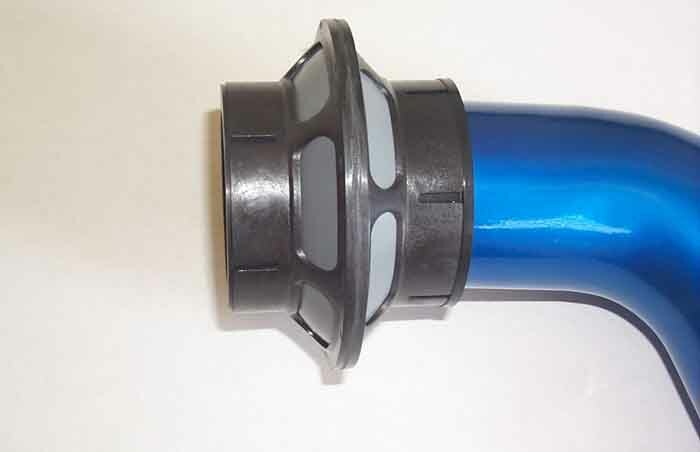 Part of the additional cost of the AEM kit is the CNC machined aluminum adapter. They went out of their way to provide a smooth flow with no transition into the air flow meter. The air flow meter shown installed onto the pipe. AEM uses all 2.75" piping and fittings. 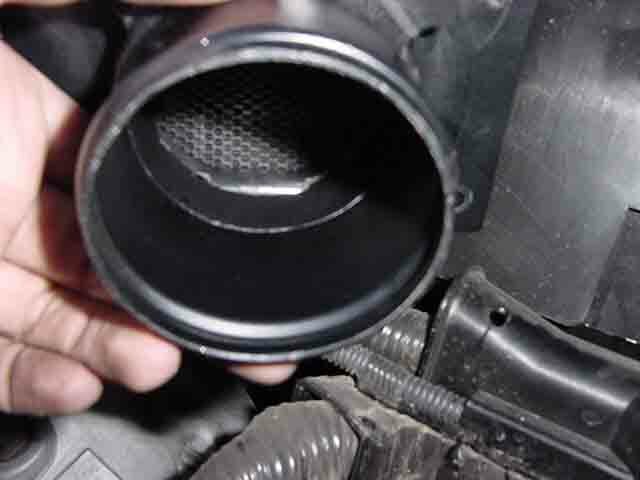 2.75" is the same inner diameter as the air flow meter and the same size as the throttle body fitting. 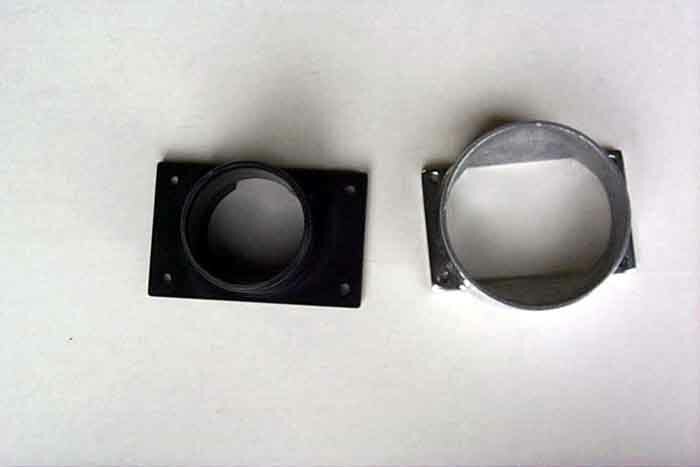 The air flow meter support bracket is bolted to the water neck for additional support. We left everything installed loosely until all parts were in place. This allowed for us to align everything for the best fit and then tightened all the mounting bolts and hose clamps. All pipe ends are beaded to help keep things from slipping off. The mount to the frame rail is rubber to allow for some flex with out pulling too hard on any of the parts or joints as the motor torques. 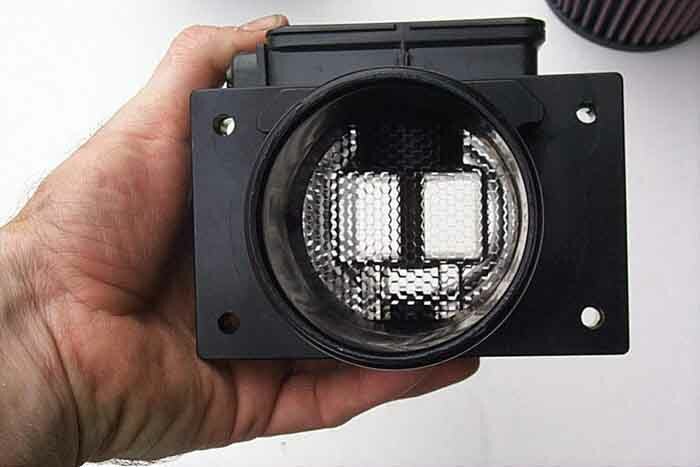 The filter shown mounted in the cold air position. It sits just behind the fake grill piece. 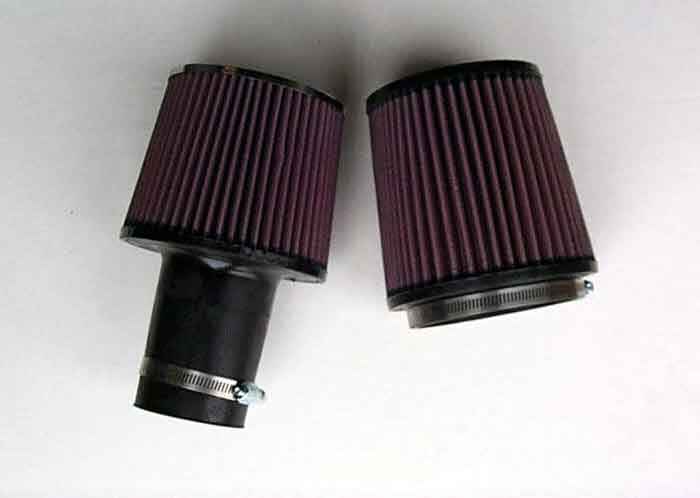 This is the AEM filter on the left, the Injen filter on the right. The AEM filter is slightly smaller. 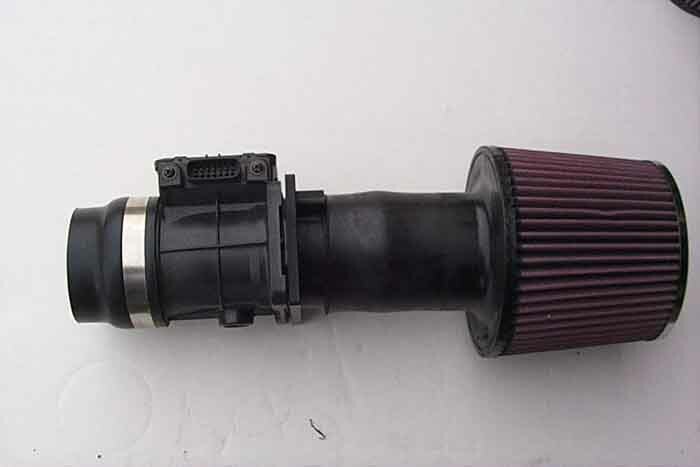 AEM adapter on the left, Injen adapter on the right. 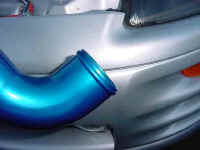 Injen is using the same casting for the 3G as they do for the 2G turbo car. The 2G turbo has a larger air flow meter. 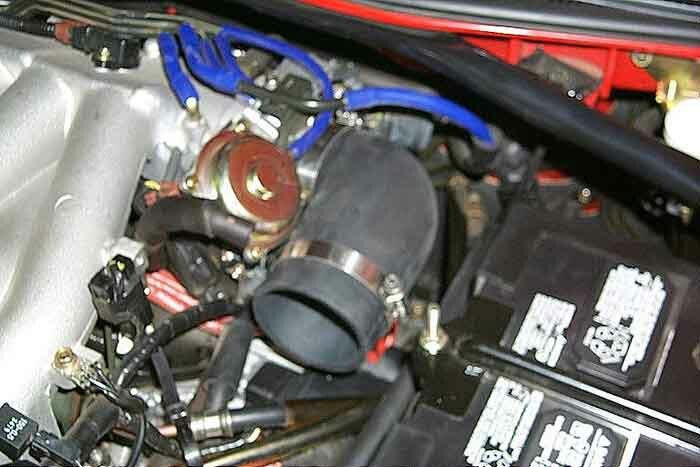 Even though the 3G inlet is smaller, they share the same bolt pattern as the 2G turbo. 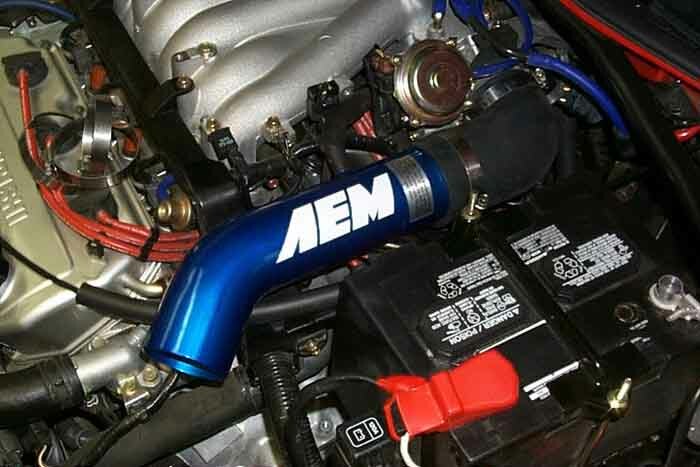 The way AEM made their adapter, they get a smoother flow through the air flow meter. The adapter is an exact match to the inlet. 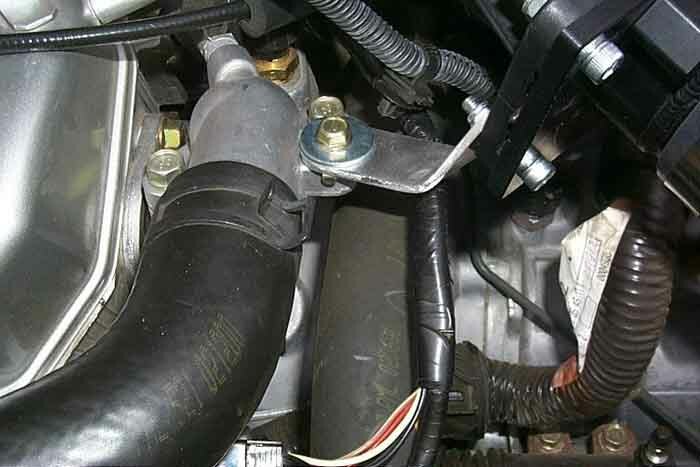 The inlet of the Injen adapter is a more abrupt transition. 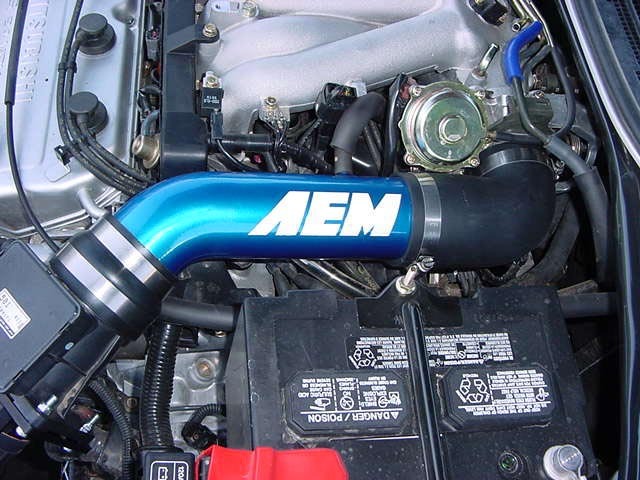 AEM does have a bypass valve that will prevent water from being sucked into the motor if you should accidentally decide to go snorkeling with your Eclipse. 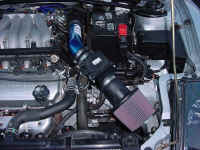 The bypass valve works well with the MAS air flow system that the Eclipse uses as long as it is mounted before the MAS. The cost is $35. The bypass valve can only be installed BEFORE the air flow meter. 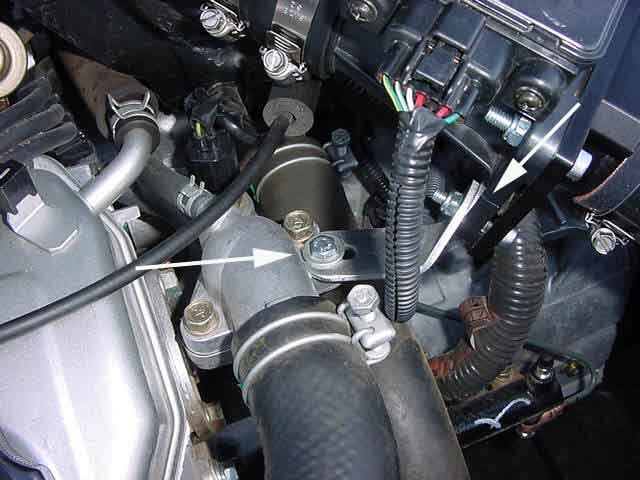 The piping does not need to be cut, the bypass valve goes in place of the hose connector just before the air flow meter. 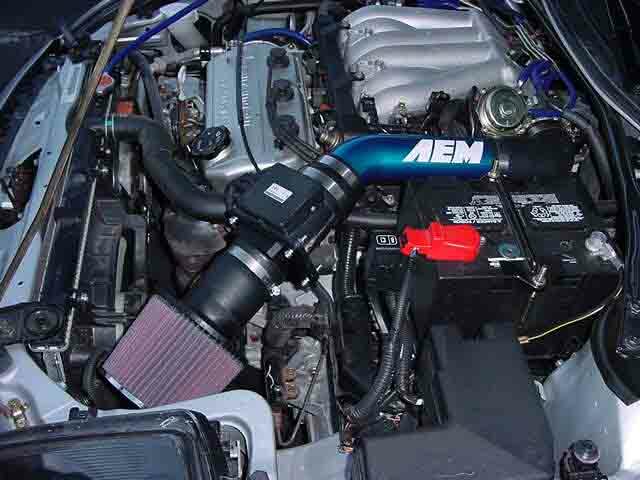 The AEM Bypass valve can not be used with the Injen Cold Air kit. 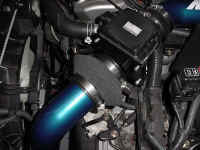 Injen mounts the air flow meter too low for the valve to be effective. 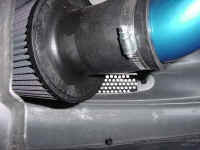 The filter shown installed directly on the air flow meter for the Short Ram. Here is the short version. The Cold Air and Short Ram kits use the same upper pipes. 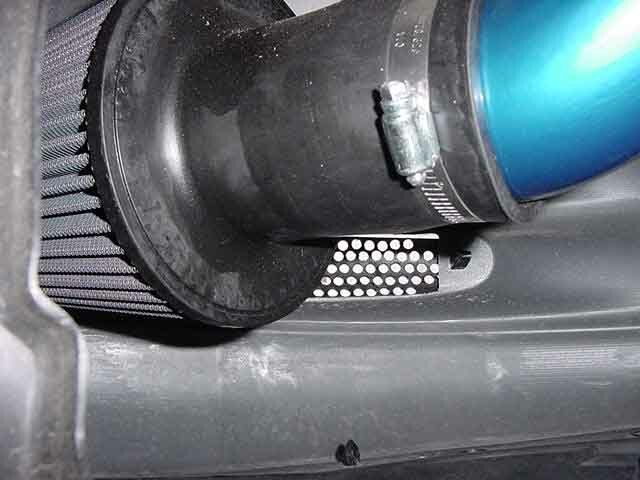 If you have the Cold Air kit, if you want to convert to the higher mounted filter location of the Short Ram, you only need to remove the extension pipe and mount the filter higher. Another view of the Short Ram installed.